Redshirt sophomore safety #36 Sheldon Doss hails from Detroit, Michigan. He attended UD Jesuit High School, where UC all-stars Connor Barwin and George Winn played. Doss played receiver and cornerback, and also ran track. Sheldon tried to walk-on at Michigan State, Indiana, and Cincinnati. The combination of his relationship to the UC coaching staff, and the appropriate distance from hometown friends and family while maintaining a college life, landed him here in Clifton. 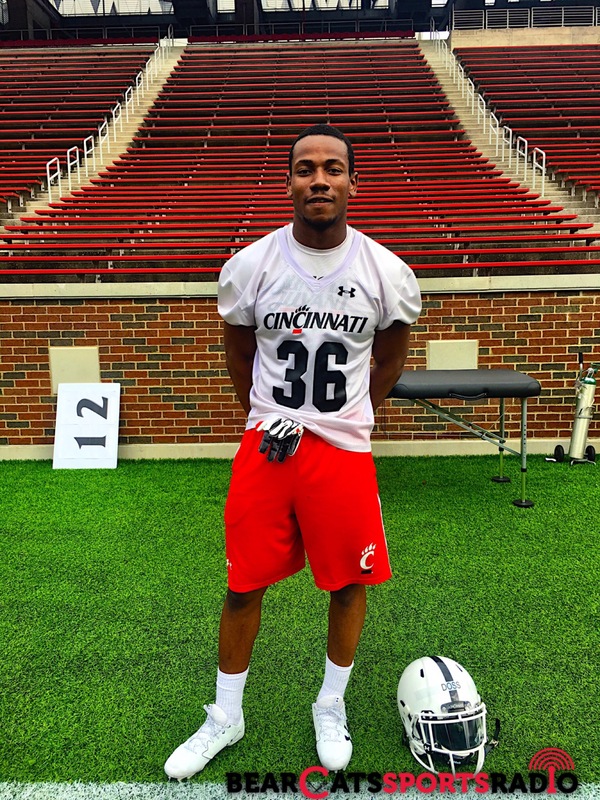 It seems he made the right choice – this week at a team dinner coach Fickell presented two players with scholarships and Sheldon was one of them! He has three years of scholarship remaining, which should certainly help him earn his business marketing degree. After his playing days are over he hopes to work for, and eventually take over, his father’s trucking logistics business. In the meantime, Doss loves to juggle and perform card tricks. In his prime, he could juggle up to four balls. 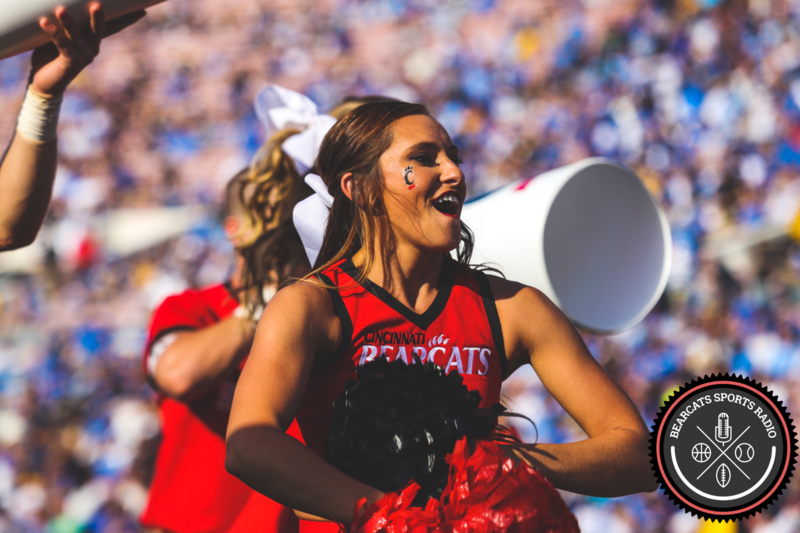 His coordination and new-found scholarship will aid him on the field, and we will be rooting for Sheldon this fall to earn some playing time under the lights of Nippert Stadium. When Doss isn’t at practice, you can find him at his favorite restaurant, Bibibop, on Calhoun Street.